Positive Charge is an online subscription service offering on-demand GCSE science revision videos and syllabus-specific resources. Founded by a father and son duo who noticed a gap in the market for high-quality additional support for students wishing to revise or get ahead for their exams, Positive Charge’s videos are carefully crafted to cater to every exam board, thus providing a comprehensive exam preparation solution. Positive Charge required a bespoke website on which to host and organise their videos, as well as monitor accounts and manage paid subscriptions. 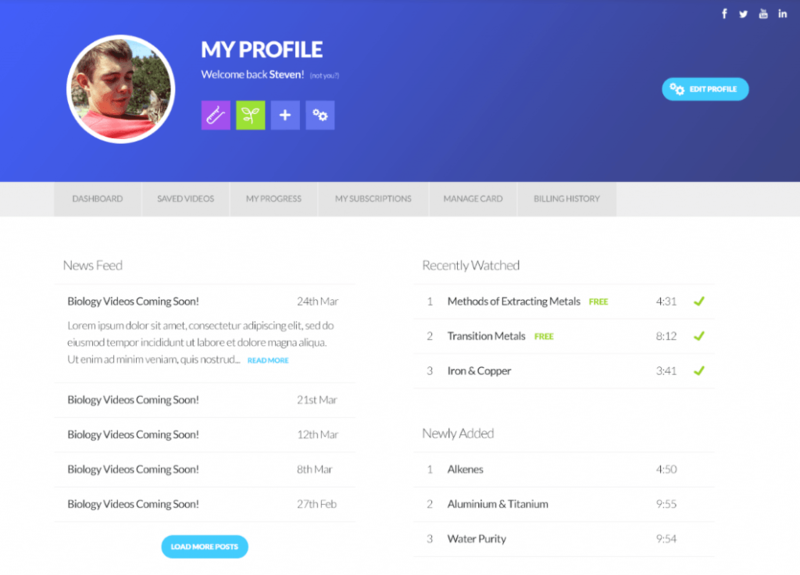 The site needed to be attractive and easy to use for GCSE-age teenagers and their parents or teachers, in order to differentiate the offering from competitors. Since it was a start-up business, Positive Charge also needed us to create a colour scheme and logo design. We designed a distinctive logo for Positive Charge and built an eye-catching site full of features to help them and their subscribers alike, including the ability to easily add new videos, classes, and subjects at will. To facilitate the paid subscription model, we ensured that the Positive Charge site incorporated user accounts with associated logins and passwords, and was secure (in order to take payments from customers). 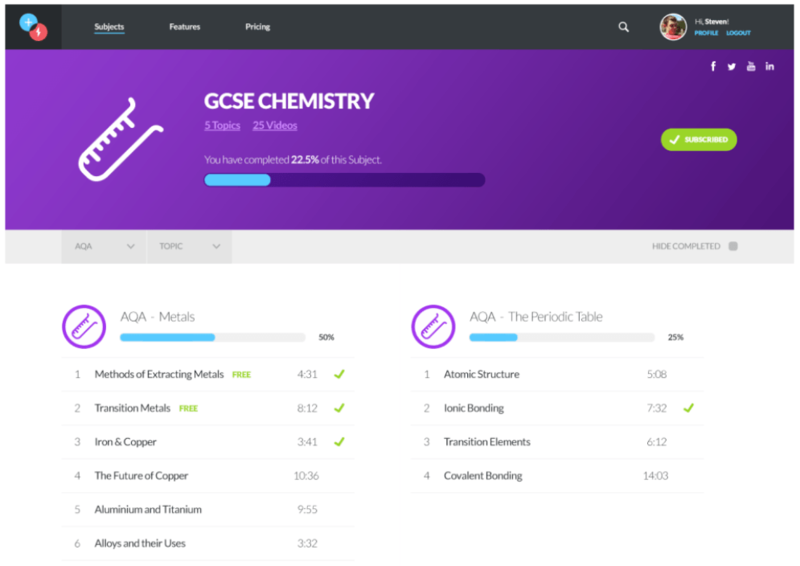 We implemented profiles that included a filtering system based on exam boards, and even added a tracker bar which would measure progress and the percentage of revision completed.